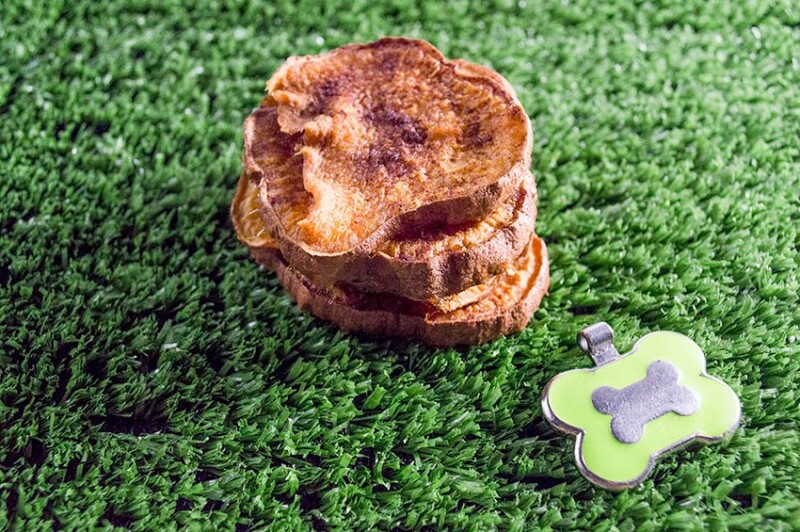 When it comes to making a hypoallergenic dog treat, less is definitely more. The fewer ingredients you put into your homemade treats, the less likely you are to aggravate your pup’s allergies. 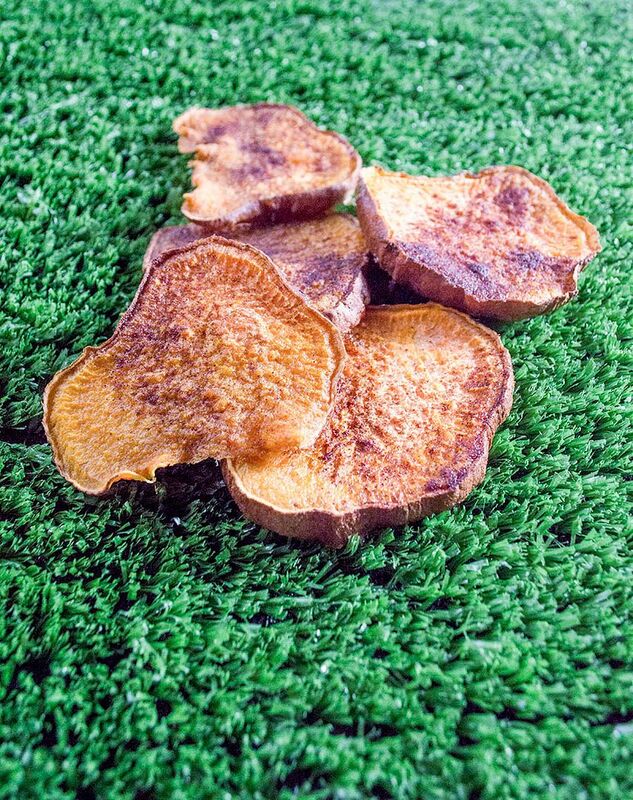 Today’s sweet potato “jerky” chew recipe has, as you can see, only three ingredients. 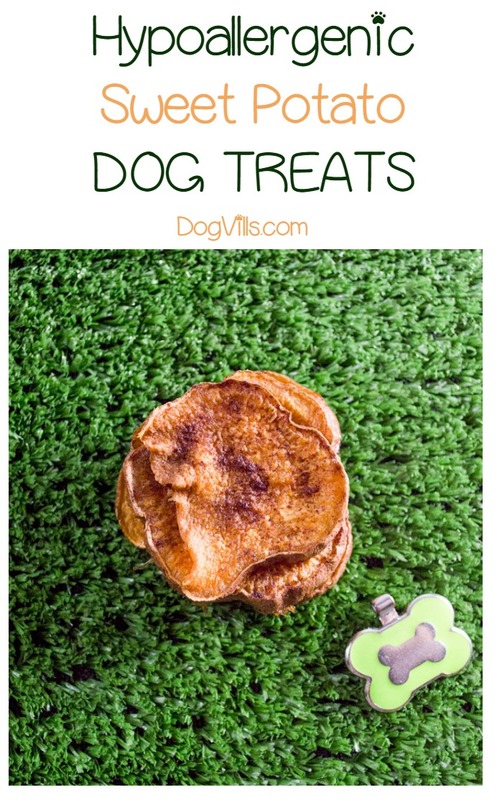 Not only is it incredibly easy to make, it’s less likely to send your pooch into gastrointestinal distress. Unless, of course, your dog is allergic to sweet potatoes. Remember, a hypoallergenic dog treat recipe depends entirely on your dog’s allergies. We try to go with ingredients that are not common allergens, but every dog is different. So here’s a fun fact, before we get to the recipe: I just learned that sweet potatoes are not really potatoes. They’re distant relatives. I also learned that yams and sweet potatoes are totally different things, and the things we call “yam” in the US are actually sweet potatoes and have no relation to the actual yam. The things you learn when you’re researching hypoallergenic ingredients! 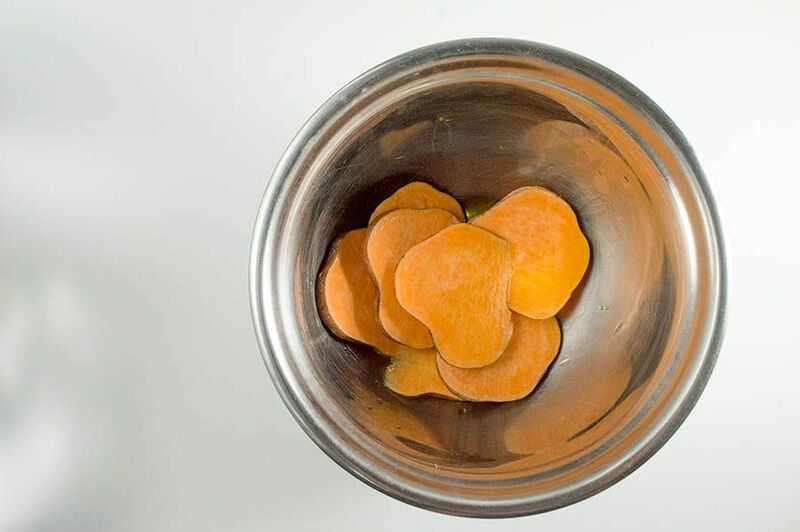 While potato allergies are quite common among dogs, sweet potatoes are not really lumped into that category. Okay, on with the show! Preheat your oven to 250 degrees and line a baking sheet with tin foil or parchment paper. Wash and dry the sweet potatoes, then slice into thin circles (about 1/4 inch thick). Combine your oil and cinnamon. If you are using coconut oil, melt it in the microwave for about 10 seconds. If it’s still not melted, just add a few seconds at a time until it is. If you’re using olive oil, no need to melt. 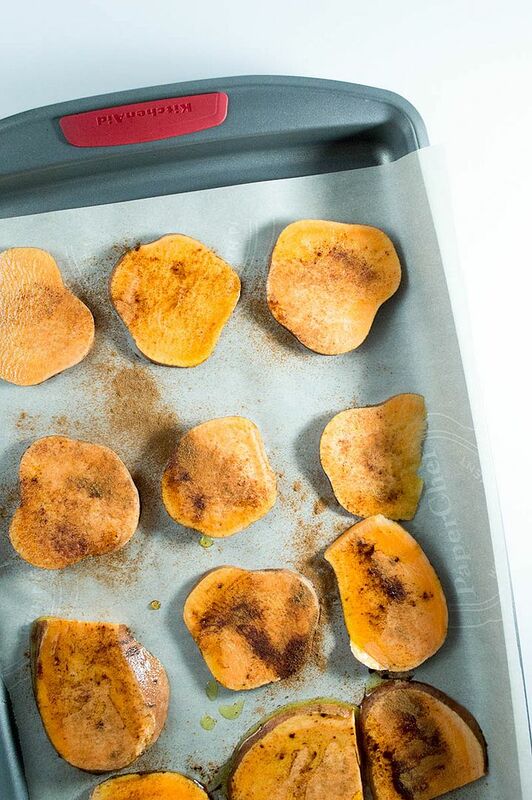 Toss the sweet potatoes in the oil & cinnamon mixture. Place on your cookie sheet evenly spaced. Bake for 2-3 hours, until they are nice and chewy, like a jerky texture. Cool and serve! Store left overs in an airtight container. Line baking sheet with foil or parchment paper. Wash and dry the sweet potatoes, then slice into thin circles (about ¼ inch thick). Easy, right? The hardest part is waiting for them to bake! If you want to make it more like jerky strips, just slice your potato lengthwise into thin strips. Okay, so this isn’t really the true definition of jerky (yes, I looked it up, and yes, I know it involves meat, but the whole drying process reminds me of jerky). Hmmm, how about we call it Perky! Or Sperky, since it’s sweet potato jerky. If your dog isn’t a fan of cinnamon or you want to try something different, other dog-safe spices include oregano, parsley leaves, and turmeric . The parsley leaves are great if your pooch is prone to bad breath. If that’s the case, check out our breath biscuits too! Turmeric is a good spice to add for dogs with arthritis. 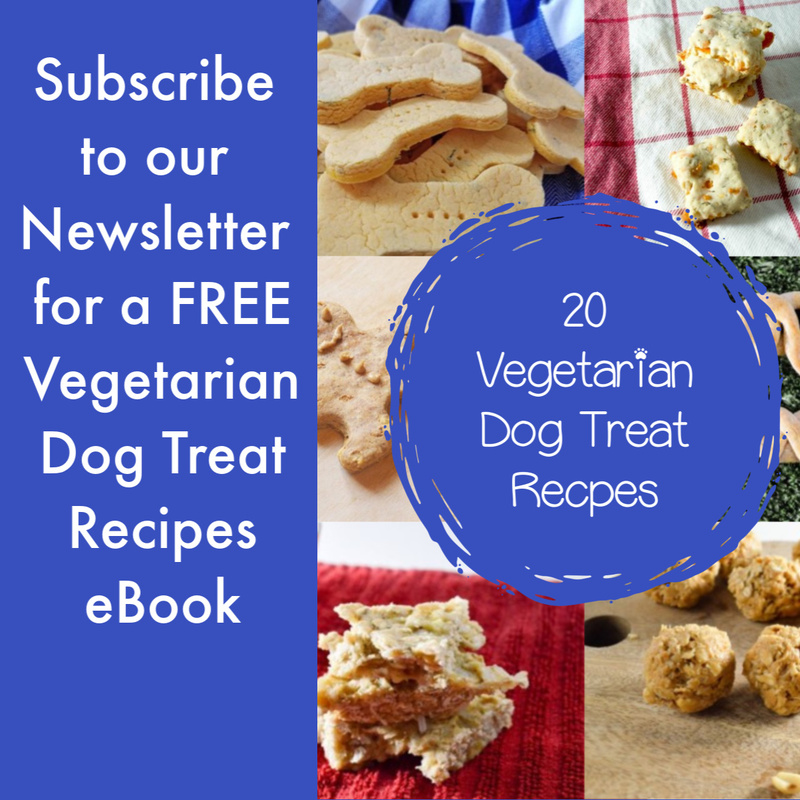 Do you have a favorite hypoallergenic dog treat recipe? Share with us below!